See location - Greater Sydney Map. Newtown is classic example of an inner Sydney suburb transformation from working class to a trendy cosmopolitan one, the narrow backstreets and driveways with parked BMWs instead of Holdens. Sydney University, Australia’s oldest, is nearby, giving the whole place the atmosphere of a University town, mixed with upcoming DINKs, students, punks, goths, emos and newer migrants from many parts of the world - and a favourite with budding artists and writers. 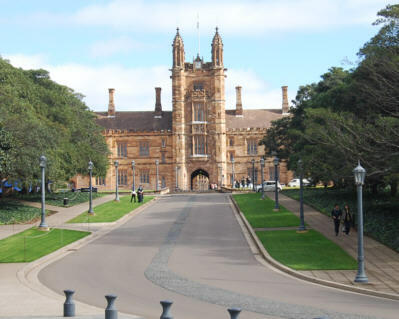 There are some fine examples of architecture at the university, in fact the Quadrangle is still one of the most wonderful buildings in Sydney. Inaugurated in 1850 and designed by Edmund Blacket, this graceful sanstone building has beautiful stained glass windows and a centre courtyard. There are two museums on campus, the Nicholson Museum and Macleay Museum. Both make a pleasant visit, offering a fascinating view of early Australian history and Aboriginal art at the Macleay Museum. The Nicholson Museum specialises in the Mediterranean, with one of the most important collection of antiquities in the country. On the main drag, King Street, you can find speciality shops, some great bookshops, a number of excellent restaurants and numerous cafe’s and eateries. There are also vintage fashion shops, music stores, antique and import shops. There is also a strong Greek presence here, dating back to the beginnings of Sydney as a city. 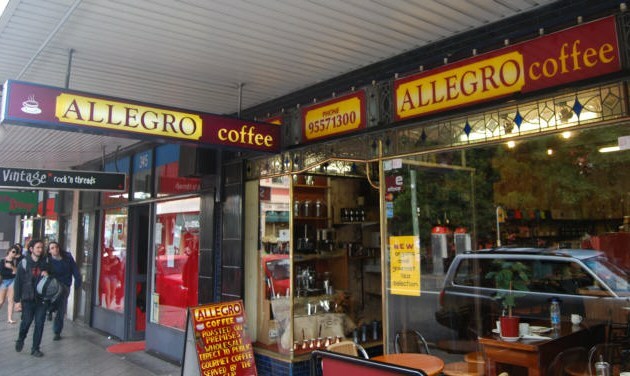 There are some great Greek delis in Newtown reflecting this, with great coffee, olives, cheeses and other assorted imported and local delicacies. At St Stephen’s Church by Camperdown Park, there is a cemetery dating back to the 1800s. The church itself is made of sandstone with a stone steeple, small but towering. In this leafy graveyard, there are buried the remains of many early settlers and also notable stalwarts of early Sydney. There is also a mass grave tomb here, where the victims of the Dunbar and the Catherine Adamson shipwreck tragedies of 1857 lie. "Within this tomb were deposited by direction of the government of New South Wales, such remains as could be discovered of the passengers and crew who perished in the Dunbar and Catherine Adamson. The former of which was driven ashore and foundered when approaching the entrance of Port Jackson (now called Sydney Harbour) on the night of the 20th August, the latter after entering this port on the morning of the 24th October AD 1857." These two tragic events, only weeks apart and costing some 121 lives with only 1 survivor, prompted the building of the lightower now seen on South Head, found just further north of Bondi Beach. 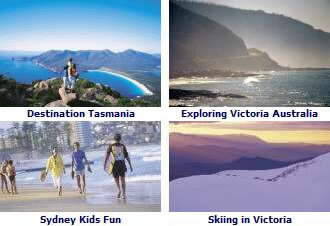 See more about Bondi Beach. Visitors are welcome to visit the Camperdown Cemetery during daylight hours. A Memorial Ceremony is held once a year at St. Stephen’s Church. The simplest way to get to the centre of Newtown would be to catch the train. The train services run from Central, so any train that gets you there will allow you to change for a train to Newtown. There are also bus services from the city, Buses 411 and 423, which will also take you past Sydney University. See the Greater Sydney Map showing Newtown: Sydney Surrounds Map - Or the inner city Rail Map: Sydney Inner City West Train Stations Note: You can catch a train from Sydney Airport to Redfern or Central Station, then to Newtown. Redfern Station is the train station closest to Sydney University.